They were flavorful and full of sticky-sweet goodness! Ideal for a picnic, these sesame-speckled chicken wings are so good, you'll be happy to lick your fingers clean. 2. 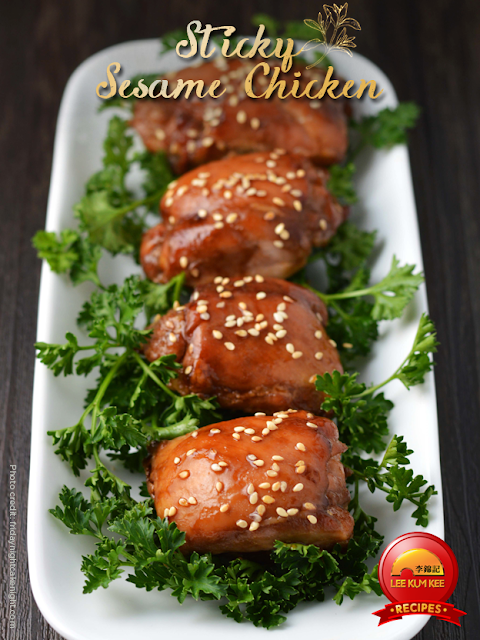 Combine the soy sauce, water, sesame oil and brown sugar in a sauce pan over medium heat. 3. Turn the heat down and simmer while you get the chicken ready. 4. Place the chicken in a foil container or a baking pan lined with parchment paper. 5. Pour the sauce over the chicken and bake for 30-35 minutes. 6. Sprinkle sesame seeds over the chicken before serving. Notes: If you want thicker sauce, add 1-2 tsp of cornstarch with a bit of water to create a paste. Whisk the paste into the sauce and boil. Reduce the heat to low and continue whisking until thickened.